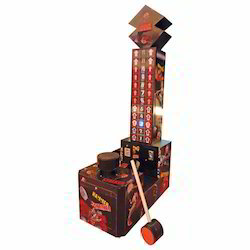 Offering you a complete choice of products which include hit a stump skill game, air hockey, redemption game hit o miss, redemption game belly bomb, speed ball skill game and redemption machine. We offer our clients with Skill Game Hit A Stump, where the players have to hit the balls with led's lit during the available time limit. With an endeavor to attain varied requirements of our valued clients, we are affianced in providing superbly designed Air Hockey Table. The offered table is designed and manufactured by making use of quality tested raw materials and superior technology by our adroit professionals as per the set industry norms. Moreover, this toy goes through different testing procedures under the strict guidance of our quality inspectors to enhance their flawlessness. 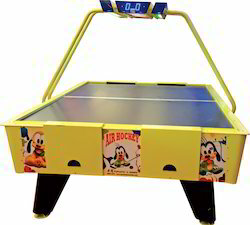 Our provided Air Hockey Table are used by kids for entertainment purpose and are made available in different sizes, shapes and designs at competitive prices. 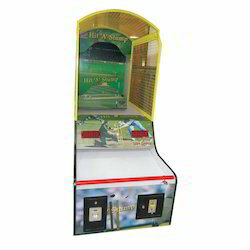 We are the manufacturer of Redemption Game Hit O Miss. We obligated to meet the quality standards as per the industry norms. We are manufacturer of Redemption Game Belly Bomb inAhmedabad, Gujarat. We are manufacturer of Redemption Machine in Ahmedabad, Gujarat. We have good ranges. 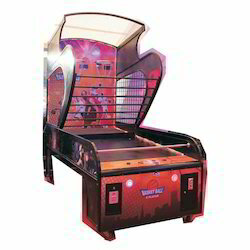 Our company has gained name and fame in offering Air Hockey Tables to the clients. Air Hockey Tables are known across the world for mesmerizing design, long life and excellent finish. Offered range is tested on numerous parameters to ensure long life and attain maximum client satisfaction. These products can be used in various types of places. Offered range is accessible in standard as well as customized specifications as per the demand of customer. Offered range is manufactured using quality-approved raw material and advanced techniques under the proper guidance of deft technocrats in line with set industry quality standards. 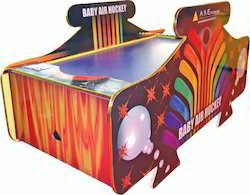 We are the manufacturer of Mini Air Hockey Redemption Skill Game in Ahmedabad, Gujarat. We obligated to meet the quality standards as per the customer demand. 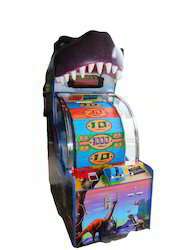 We are manufacturer of Ticket House Skill Game, in Ahmedabad. Gujarat. 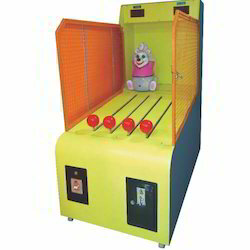 Ours is a reputed entity engaged in manufacturing and supplying the comprehensive assortment of Hammer Striker Skill Game. These products are manufactured using the finest quality raw material and advanced technology with the help of highly experienced team of professionals with latest machinery to ensure the durability and efficiently. All our products are manufactured in accordance with international quality standards. Post-production, these products are tested on various parameters, before delivering it to our customer's end. We are manufacturer of Mini Basket Ball Skill Game in ahmedabad, Gujarat. 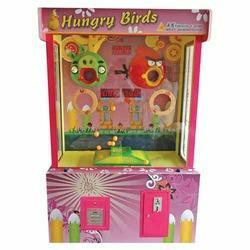 Hungry Bird Redemption Game amusement part games offered comprise electronic play support for kids that is skill based game and comes under category of playground games. Finding use in areas like resorts, malls, kids parks and others, these are designed considering the preferences of children and meet the exact requirements of the customers. Features: Designer finished looks Can be made available in different finish designs as per preferred choices of customers Provide for splendid looks. 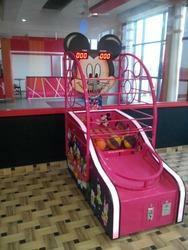 We are manufacturer of Fun N Dance Redemption Game in Ahmedabad, Gujarat. 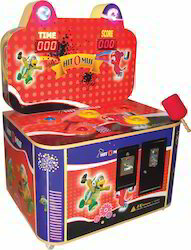 We are manufacturer of Punch Out Skill Game in Ahmedabad, Gujarat. We manufacture worldwise and have good range. We are manufacturer Micky Basket Ball in Ahmedabad, Gujarat. 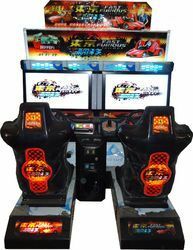 We are a manufacturer of Arcade Game in Ahmedabad, Gujarat.